Hair mineral analysis reveals your mineral deficiencies and heavy metal toxicity. It explains the causes of many health symptoms and disease. Hair is an excellent biopsy material. It is easy to sample, easily preserved and transported, represents a soft tissue of the body, and is a storage and eliminative tissue. ​As hair grows it forms a permanent record of the body’s nutritional deficiencies or excesses. 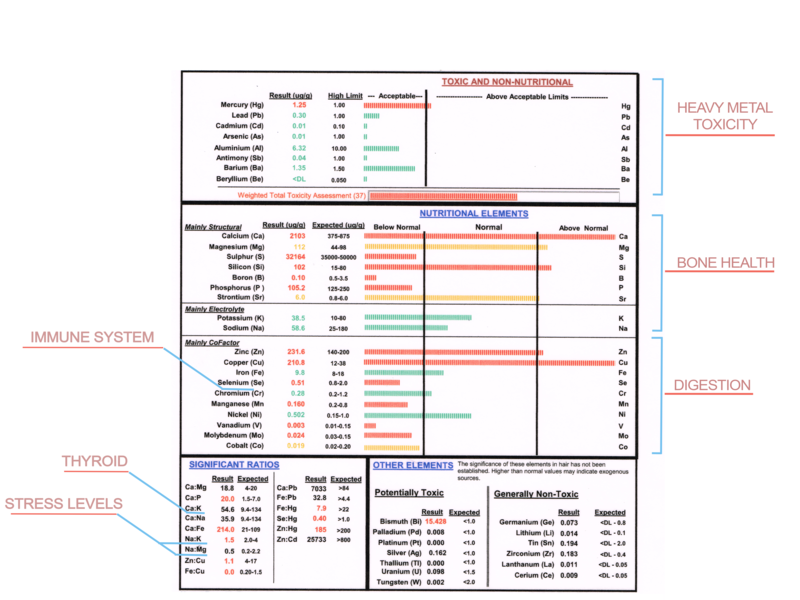 This information, along with dietary and nutritional evaluations, will provide the basis for a nutritional balancing program to establish and maintain optimal levels of wellness. Your hair is your story line! It's an excellent way to see & correct imbalances before deeper health pathologies arise. Medical Disclaimer: Contents in this email is provided for informational purposes only, and is not intended as a substitute for the advice provided by your physician or other health-care professional. You should not use the information in this email for diagnosing or treating a health problem or disease, or prescribing any medication or other treatments. You should always speak with your physician or other health care professional before taking any medication, or nutritionals. Nutri-Life Wellness not assume any liability from the use of information in this email by any reader.